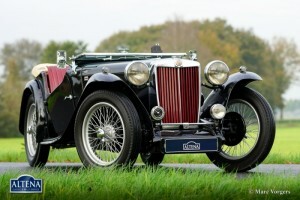 The MG TC was the first new post-war MG. The TC was introduced in 1945, and based on the pre-war TB, it was very similar. A major improvement to the TC was the larger interior, which was increased by 10 cm. 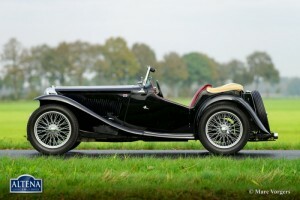 The design was similar to the pre-war TB, with swept separate wings, large 19-inch wire wheels and a folding windshield. 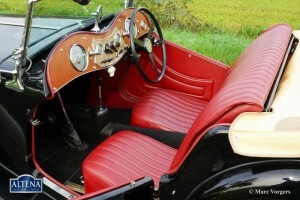 The MG TB/TC series were much admired by the American soldiers who were on the point of returning to America; this type of small sports car with its smooth handling, was not yet known in America… As a result, many TBs and TCs were shipped to America, and also the MG TC was in great demand at the other side of the pond. 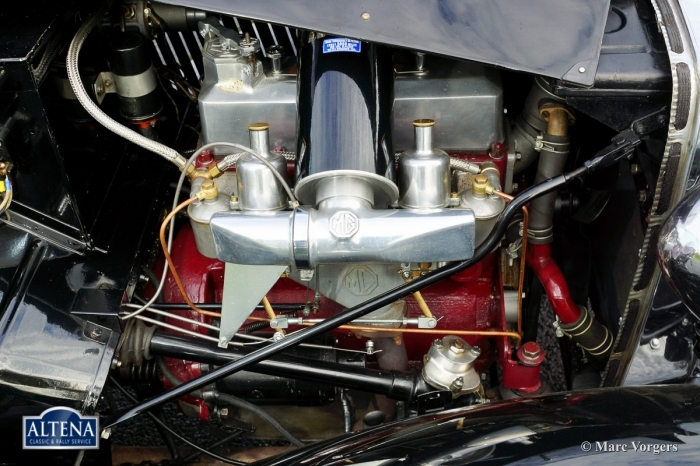 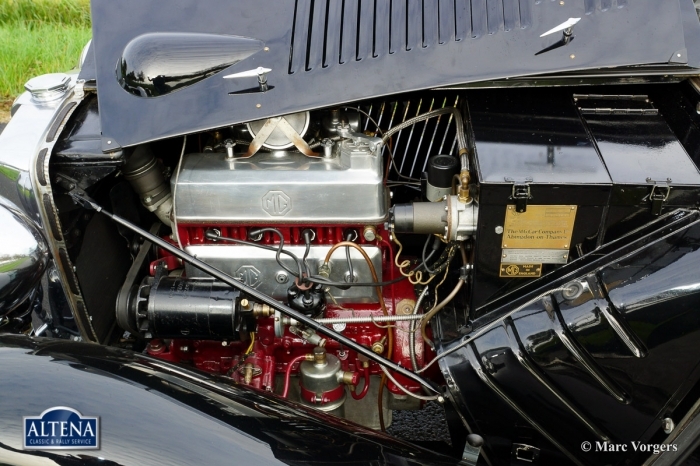 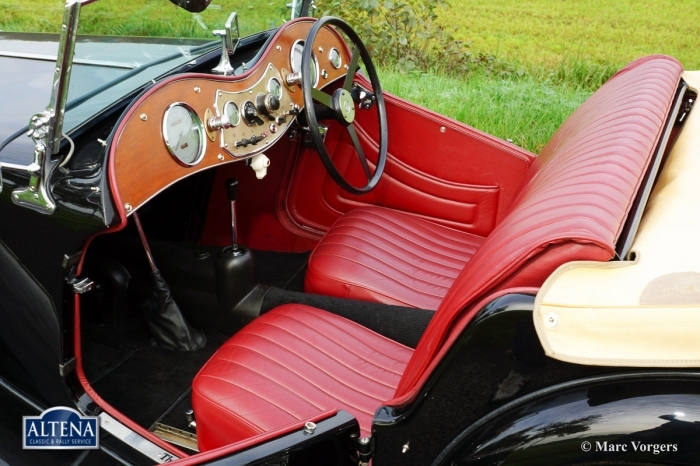 All TCs had right-hand steering, leaf springs all around and a 54 hp four-cylinder engine. 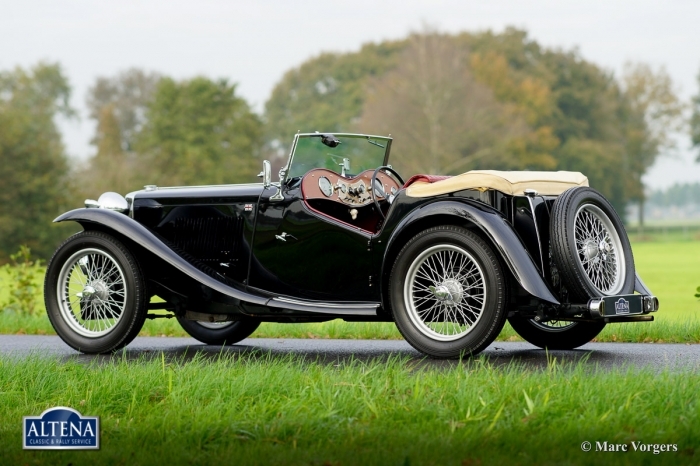 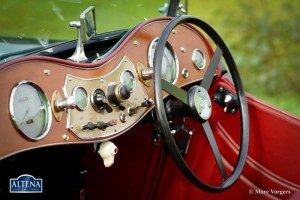 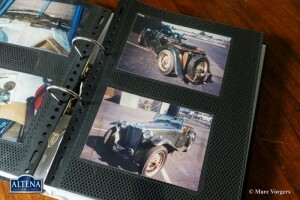 In 1950, the MG TC was replaced by the MG TD. 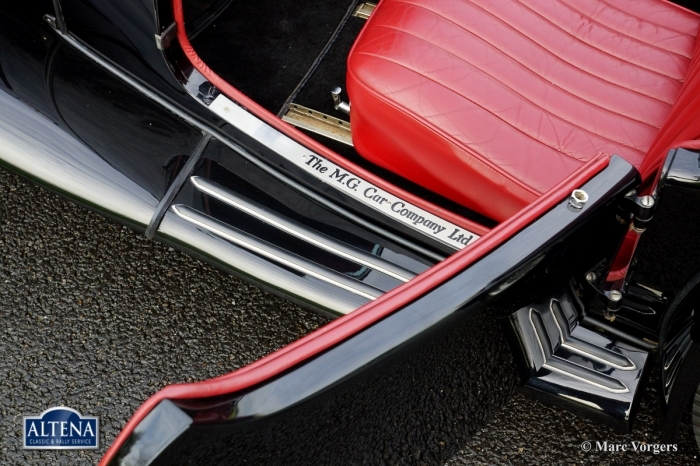 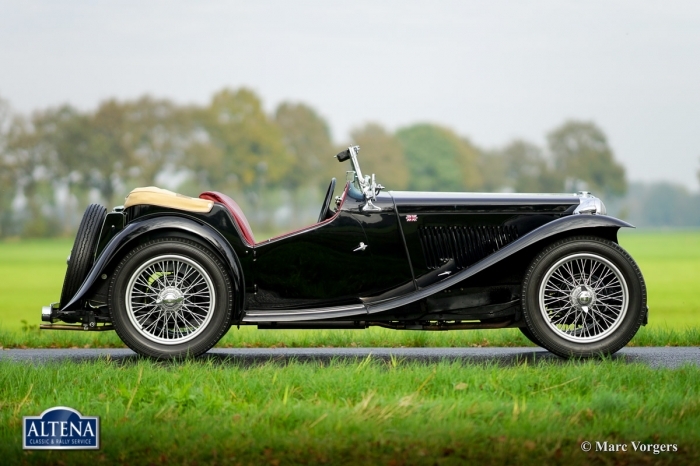 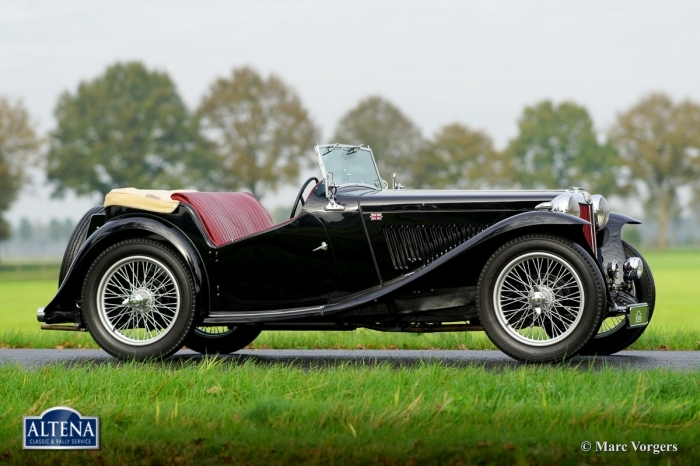 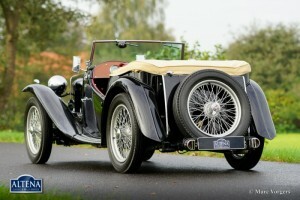 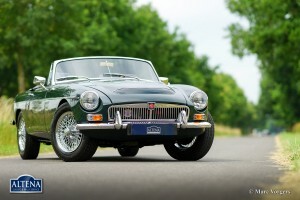 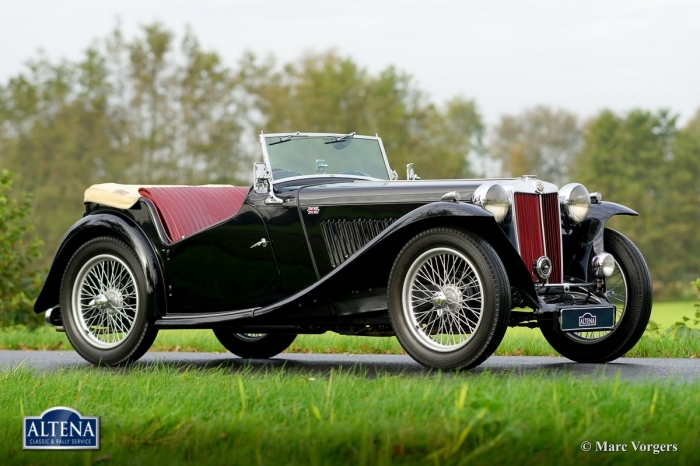 Beautiful MG TC built in 1948, in the classic colors black with a red leather interior. 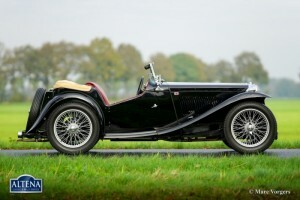 A very nice contrast are the beige coloured canvas soft top, hood cover and tonneaucover. 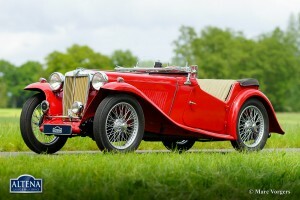 This MG has chassis number and engine number TC4750 XPA5388 and is matching! 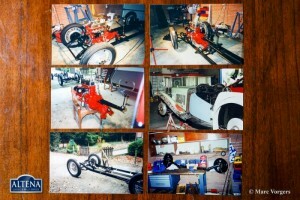 Late 90’s the car was very extensive and professionally restored to original standards. A complete photo shoot and extensive documentation is provided. 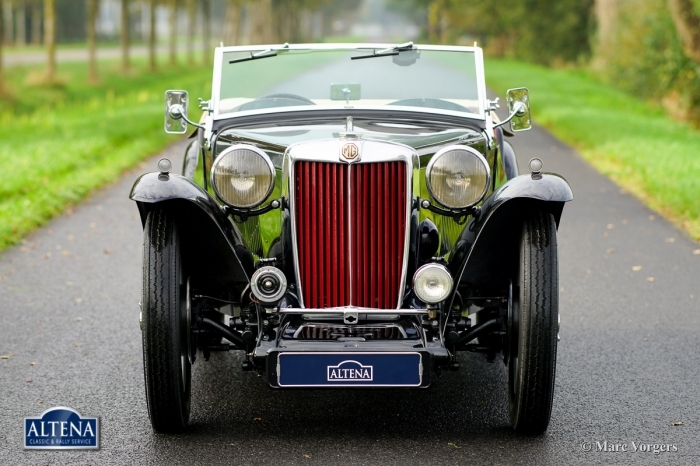 The MG is fully equipped with new spoked wheels with Dunlop tires, original Lucas lamps and mirrors, and aluminum valve cover.